Hello and Happy Friday everyone! Today I’m linking up with Erica, Narci and Andrea again for their Friday Favorites link up. Several months ago, I was inspired by Pinteresting Plans Entryway Table and my own make over has since been in the process. Finally, this week I got sick of seeing half of the table bare and I enlisted the help of a friend and I successfully completed the look! Rectangle plant~ mine was from Home Good but HEREs a cute one! If I’m being honest, I actually bought these for Jared as a stocking stuffer this past Christmas. He LOVES brownies and ice cream but only loves them when they’re fresh out of oven leaving me and my not so great willpower to stay away from the rest of the pan. I thought these would be a good alternative to making a whole pan of brownies. While fresh ones from the oven are definitely better, these were pretty good too! I have had these shoes for a couple of years and love wearing them with just about during the spring and summer, they’re a great transitional shoe. They’re currently on hiatus again as we recover from yet another winter snowstorm here in MN, ugh! I bought this backpack last spring before we went to Disney World. I thought it was cute and functional, I wasn’t sure how well it would hold up considering it’s price but a year later it’s still going strong! Many times, I ditch my handbag and just have this backpack to hold #allthethings. 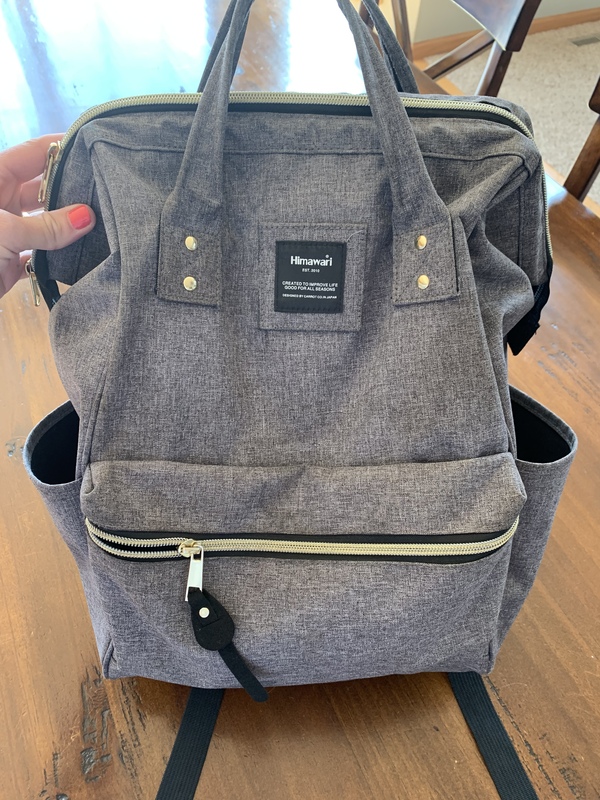 #momofthree I got it off of Amazon, you can see it HERE. There are several other colorways to choose from as well! Call me crazy ladies, but these things are on my Favorite list this week. #notyourmamaspressonnails A couple of months ago one of my good friends randomly said she needed to “do her nails” and pulled this package out. They are a set of gel press on nails that you can apply at home. Don’t get me wrong, there’ s nothing better than going into a salon and getting pampered but these are totally awesome if you’re short on time or don’t want to spend the money on regular nail appointments. The package costs around six dollars and there are 3 applications worth. I found them SUPER easy to apply and have seem them in several different colors. I’ve seen them at Amazon, Target and CVS. Has handout else tried them? What did you think? This being the first time I’ve tried them, I’d love to hear any tips you have on filing them down and perfecting your at home manicure! That’s it for my favorites this week! Thanks for reading and have a great weekend! !